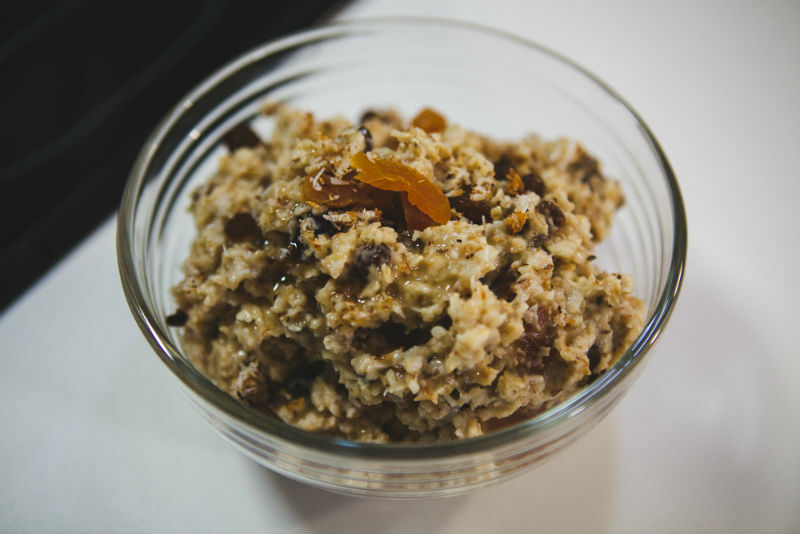 This bowl of homely goodness is made even better with the addition of dried fruits and coconut. 1. Preheat oven to 180C fan-forced. Line a shallow medium baking dish with baking paper. 2. Sprinkle coconut into dish and drizzle with 1 tablespoon of honey. 3. Cook uncovered, about 5 minutes or until browned lightly. Cool in dish. 4. Meanwhile, stir in the milk, water and oats in a medium saucepan over medium heat for about 10 minutes or until porridge is thick and creamy. 5. Stir in remaining honey and half of the dried fruit. 6. Sprinkle porridge with remaining fruit and coconut; serve with warmed milk, if you like.